Great house for large families and families with kids. 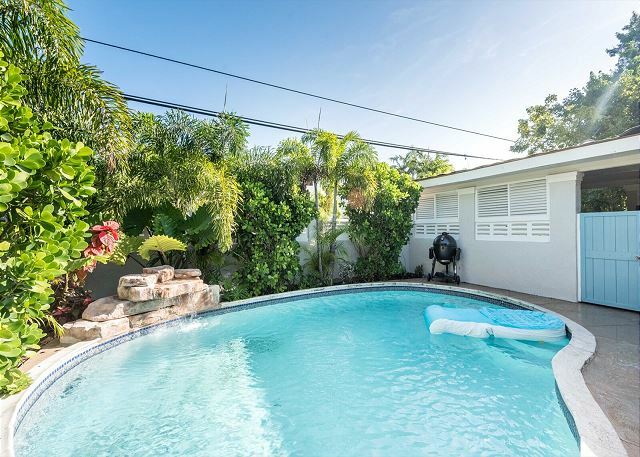 This 3 bedroom / 2 bath beautifully decorated vacation home has all the comforts & style you’d expect from an island property and is only minutes from shopping, restaurants, galleries, and bars. Welcome to Paradise, welcome to Prestige Worldwide. 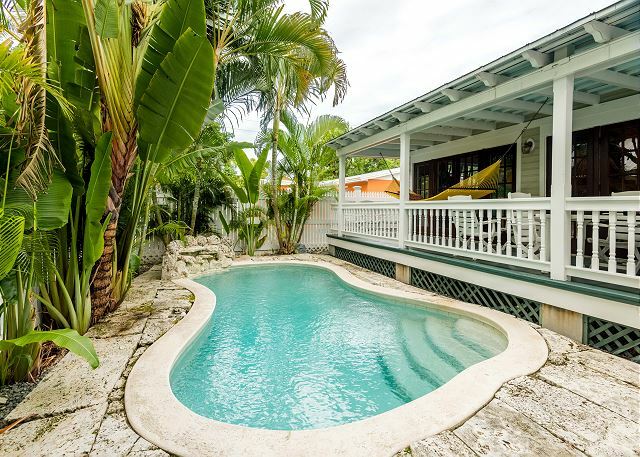 Come stay in this lovely, centrally located Key West home. This home has 2 bdrms, 2 baths and extra Den/Bdrm with a sofa sleeper. Sit on the front porch people watching or relax in your own private pool. 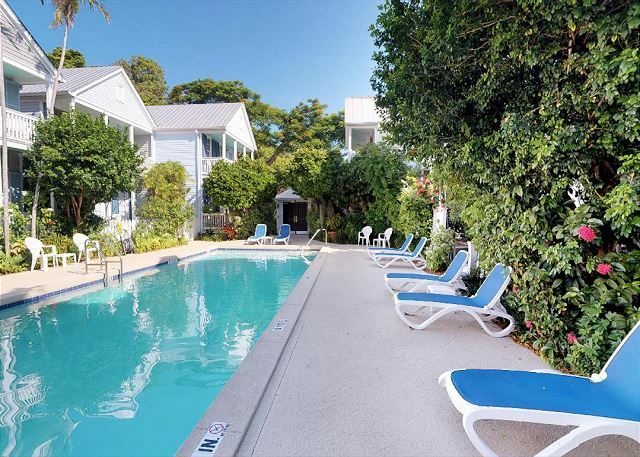 One block from Duval Street off of Truman Avenue, the Baya House is one of 13 units in Windward Park; a small and secure gated complex built around the courtyard featuring a 50’ x 20’ foot pool and lush, tropical landscaping. 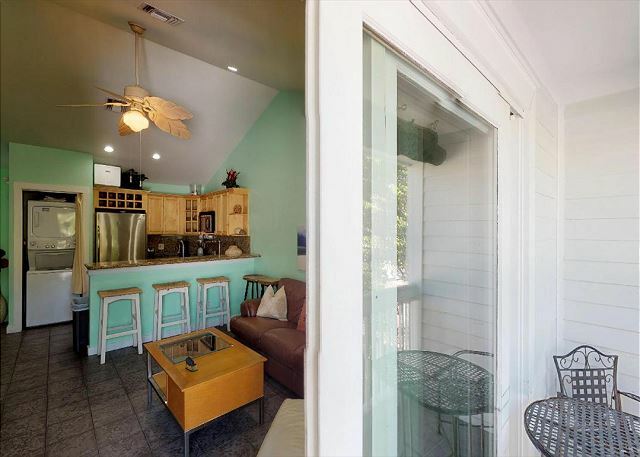 If you want to be near the excitement of Duval Street, yet tucked away from the noise, this is your rental. Old Town weekly rental with hot tub. Located one block off Duval Street. This is a very popular vacation cottage. 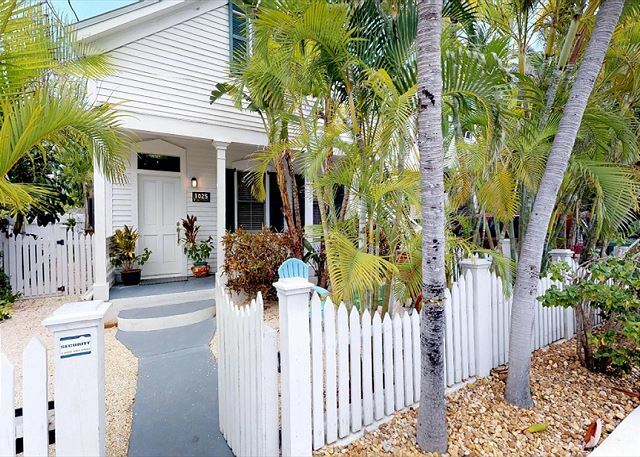 2BR/2BA Historic Seaport Conch Cottage + Over-sized Pool/ 28 Night Minimum stay. 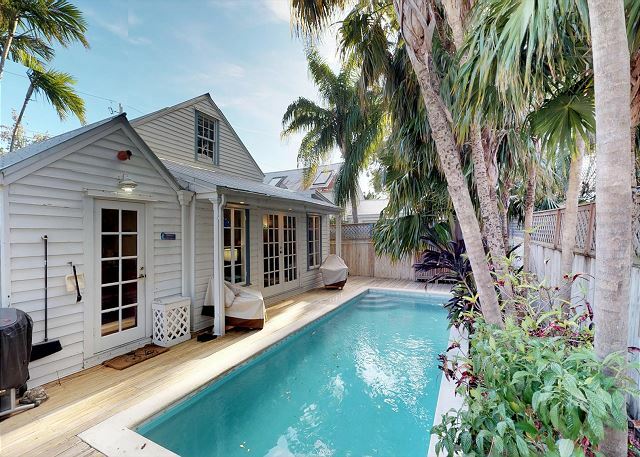 This beautifully unique private pool home is a hidden treasure. 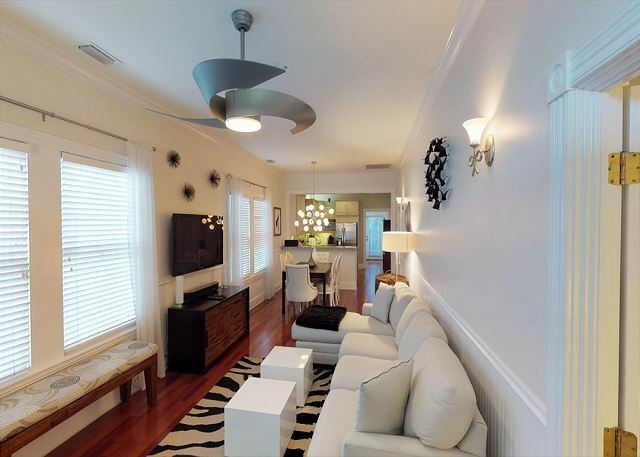 Heavenly Hideaway is located across the street from our Historic Key West Cemetery and is in a quiet neighborhood. A plus to this home is it comes with parking for 2 small cars or large truck. Casa Royal, relax in superb luxury. 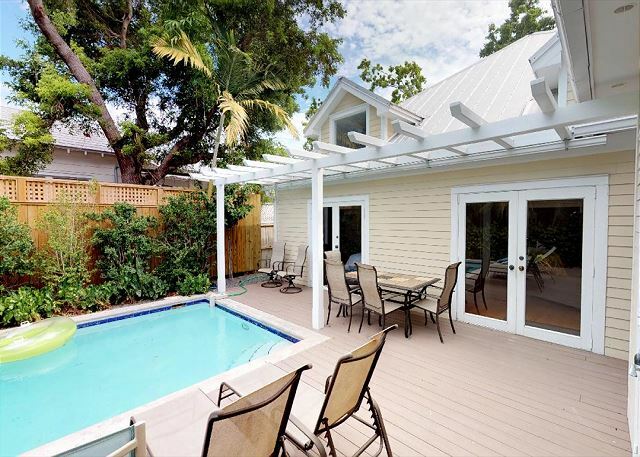 This Key West Vacation home in Casa Marina has all the benefits a private community offers plus quality finishing’s. 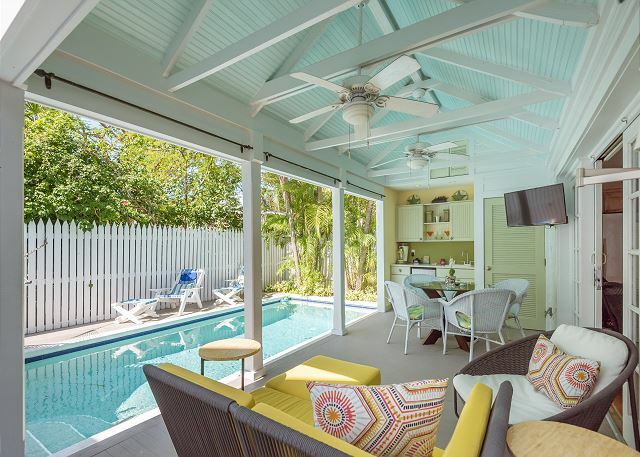 If you’re interested in spending a month or more in Key West, you will want to live here.